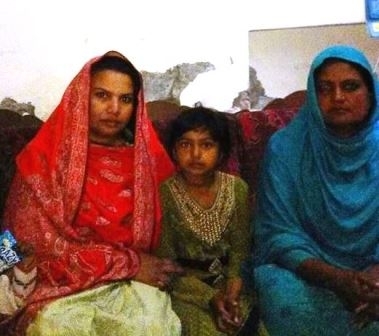 KASUR, PAKISTAN (ANS – Jan. 1, 2015) — A terrified 7-year-old Pakistani Christian girl who was brutally attacked recently by a Muslim family on her way home from school in a village close to Kasur, Pakistan, has now appealed for justice and assistance. The young girl, Perwasha, and her mother, have now contacted Farzana Imran, Women Rights Director at LEAD (Legal Evangelical Association Development) requesting help in this shocking case. A horrified Perwasha told Farzana Imran, that a Muslim family “forcibly” stopped her on her way home from school and took her to their home, before beating her and stripping her naked. They then put her clothes, including her school uniform, in the garbage to burn. According to the disturbing report she gave, the attack came about after Parwasha’s maternal uncle, Iftikhar Masih, began dating Samina, a Muslim girl, and announced that they wished to have an inter-religious marriage. “This infuriated the Muslim girl’s family and so they decided to take revenge on the family by dishonoring his niece, Perwasha, as they felt Samina had been dishonored by Iftikhar,” explained a LEAD spokesperson. Yasmeen said that they had appealed to the village landlords for help, but after their refusal, the family then went to the local police station, but were informed that the Muslim family had already filed a complaint against the Christian family for “shaming” Iftikhar’s Muslim girlfriend, Samina. Allah Rakhi maternal grandmother of Perwasha told LEAD officials that they were being forced to leave the village and the whole Muslim community had “socially boycotted” the Christian family because of their Christian faith. Yasmeen appealed was in tears when she asked for help in rescuing her family from the village to some other “safe place.” She further said that, so far, that no church or any organization had yet assisted them, except for LEAD. He added: “We at LEAD provide free legal assistance and advocacy to those victims of religious discrimination and violence who cannot afford to bear heavy legal cost of counsels and it is only possible with your support and our request to support our work for such poor victims. For more information, please go to www.leadfamily.blogspot.com. Photo captions: Perwasha, the 7-year-old girl who was brutally attacked. 2) Sardar Mushtaq Gill addressing the Pakistani media. 3) Dan Wooding with his award from the British Pakistani Christian Association (BPCA). 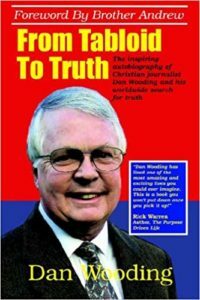 About the writer: Dan Wooding, 75, is an award-winning author, broadcaster and journalist who was born in Nigeria of British missionary parents, and is now living in Southern California with his wife Norma, to whom he has been married for more than 52 years. They have two sons, Andrew and Peter, and six grandchildren who all live in the UK. He is the author of some 45 books and has two TV programs and one radio show in Southern California, and has reported widely for ANS from all over the world and has received an award from the British Pakistani Christian Association (BPCA), for his reporting on the persecution of Pakistani Christians.